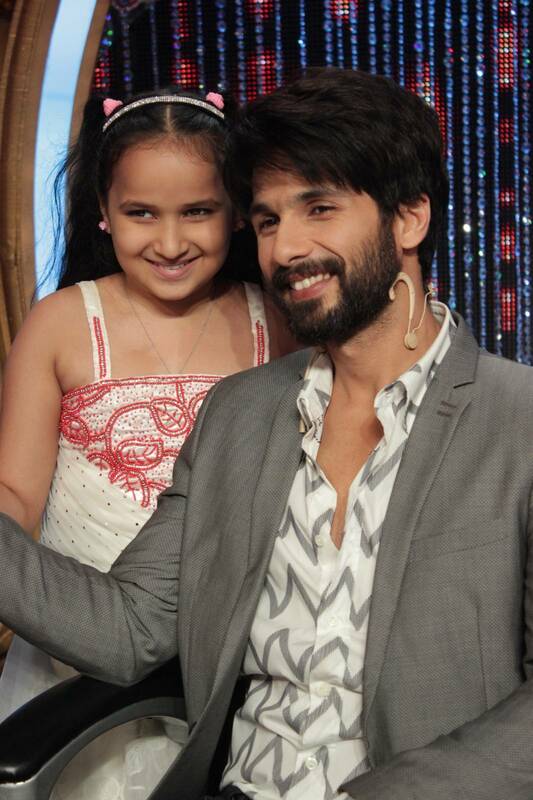 Interestingly Shahid Kapoor has been seen glowing on the sets of a dance reality show that he judges! The crew members of the show have been curious to know the reason behind Shahid’s never fading glow. Infact everyone on the sets have been asking the him the cause behind the glow on his face that has started beaming! Shahid Kapoor who had started shooting for the dance show post his marriage has been receiving unending questions on same. The actor’s appearance has seen an evident change as the actor is often witnessed smiling from cheek to cheek.Post Shahid’s marriage the crew members on the sets are curious to know the cause behind this evident shine! The newly hitched actor is looking strikingly stunning in each episode.Here are 4 pictures that show Shahid is glowing and how! Shahid has been enjoying the entire process of the shoot and has become extremely close to all the contestants and the crew members of the show. Shahid Kapoor who will soon be seen in his next titled Shaandaar directed by Vikas Bahl has been garnering immense appreciation for his performance and the look in the film! The actor will also be seen in Udta Punjab.